As a freshman at Newton North in 1972, Brian Vallely played in the first Division 1 Super Bowl. On a December morning in 1972, Newton North freshman Brian Vallely was eyewitness to state football history. 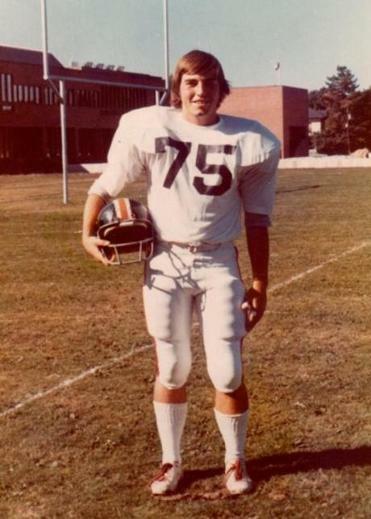 Vallely played on special teams for a Tiger squad that qualified for the first Eastern Massachusetts Super Bowl at Boston University’s Nickerson Field. North lost to Brockton, 16-14, in the Division 1 championship game. “It was a great experience and the first time I had played on artificial turf,’’ recalled the 59-year-old Vallely, now an officer with the US Department of Homeland Security’s Insider Threat Mitigation Team. Brian Vallely is an officer for the US Department of Homeland Security. It was the final game for North head coach Jim Ronayne. Vallely also wrestled and was a goalie on the lacrosse team at North. A knee injury prevented him from playing in the Agganis All-Star football game his senior year and also limited him to one season on the gridiron in college. At Curry, Vallely was a goaltender on the Milton school’s first varsity ice hockey team and a varsity baseball player for four seasons for his father, Jack. The elder Vallely, a star athlete at St. Mary’s High in Waltham, coached at Curry for an NCAA-record 51 seasons (1948-98), compiling a 726-278-4 record. The Curry baseball diamond is named for him. Jack (left) and Brian Vallely at Curry College. sistant coach for 22 of those years. “As a young boy, all I ever wanted was to be like my dad,’’ he said. “As a coach, I would tell my players that in time, when your ability to hit, throw, or catch a baseball becomes less important, what endures are your personal qualities. 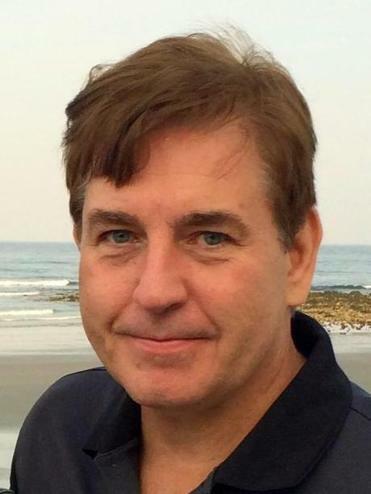 After graduation, Vallely worked as a special education teacher at Dedham High School and as director of Curry’s conference center and director of development. He has also owned and operated sports camps and, like his dad, scouted for major league baseball teams. 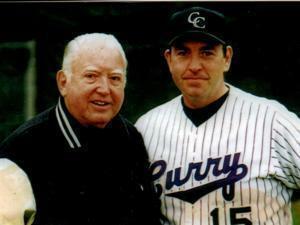 “On Feb. 9, 1999, in what would have been my father’s 52d year of coaching at Curry College, he suffered a stroke,’’ Brian recalled. “On that day, my focus turned from coaching to caring for my dad, who died 10 years later.